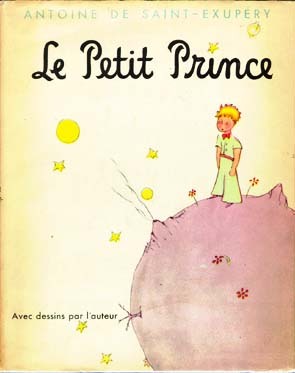 “Le Petit Prince” by Antoine de St.-Exupery is one of the most beautiful and profound books ever written. The story of the mystical little prince who comes from a star is far more than a fairy story. The animals and people he meets on his travels display so many human characteristics and the book – though set in the Sahara Desert – encompasses almost every aspect of life. It is a truly touching and inspiring story, wonderful in its simplicity and in its ability to capture the charm and wonder of childhood.